Fwee I’m a lucky girl! 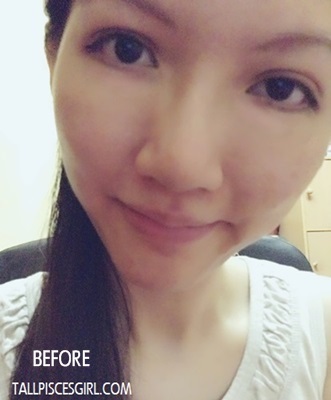 Suddenly felt grateful for what I’ve got… no matter what happens, still need to look at things positively right? When you think about something positive, you will be greeted with positivity! Anyways, I’ve received another parcel from HiShop with 2 items in it. Not going to reveal the other item first but here’s the first one – it screamed “Try Me!”. Were you able to guess what it is yet? 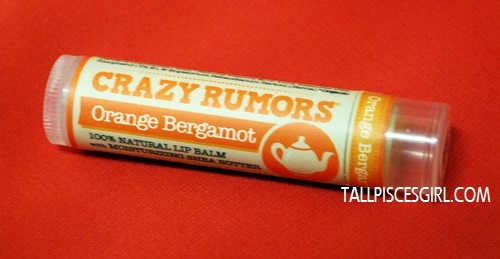 It’s Crazy Rumors Lip Balm in Orange Bergamot! 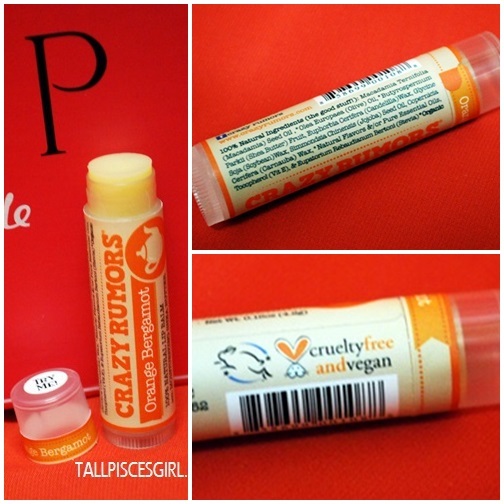 Well, I’m not sure why the brand is named as Crazy Rumors but I never thought that there would be tea flavor inspired lip balms! This is absolutely crazy! If you start to think that it must be heavily loaded with chemicals, you’re wrong! 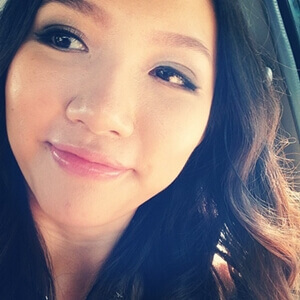 Crazy Rumors’ products are all-natural, vegan and made with certified organic ingredients. The first thing that I did was inhaling the smell. Mmm… smells like a cup of Earl Grey tea with a blend of tantalizing citrus fruits. The scent is simply amazing, I think it can be use as stress reliever! 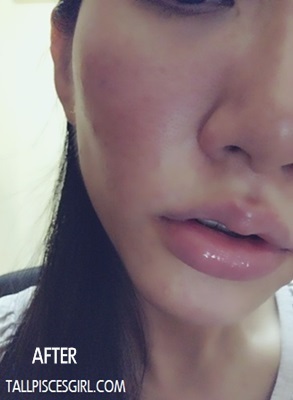 Upon application, my lips turned soft and supple thanks to the moisturizing organic shea butter. 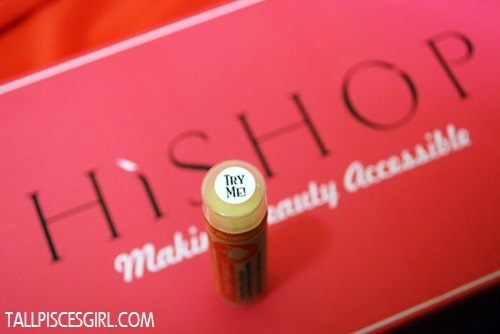 I left it on overnight and no more cracked lips in the morning! 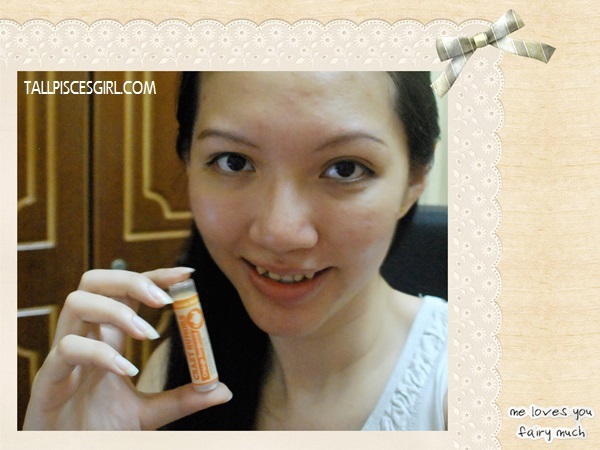 I’m loving Crazy Rumors Lip Balm! 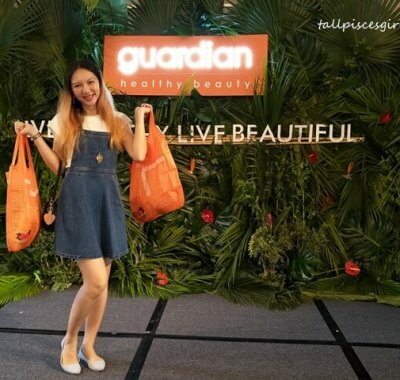 For being a reader of mine, I have something special for you: Just purchase a minimum of RM 99 from HiShop and you’ll be entitled to RM 20 Cash Voucher by entering Discount Code: HISHOPAUG. Valid until 31 October 2013 only! Hurry! Remember to LIKE HiShop’s Facebook page and follow HiShop on Twitter for instant updates on promotions and flash sales!